When you shop at Pacific Ocean Marketplace, it’s like having an Asian restaurant right in the store. Pick up your groceries, and then grab dinner! 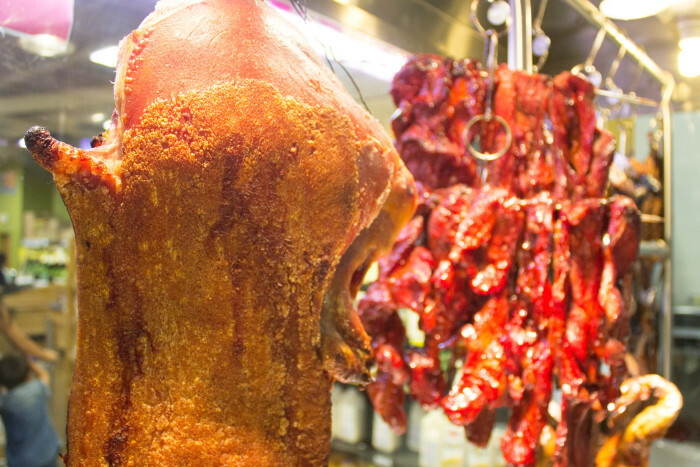 From dim sum and roasted pig to delicious duck. In fact, many of our guests just come to eat! Come grab your next meal at POM. You can also find Banh Mi at our stores! Banh Mi is a traditional Vietnamese sandwich that has your choice of meat, variety of vegetables with pate and butter. It is made to order to ensure quality and freshness for a perfect snack. For your next celebration or simple occasion, a whole roasted pig can be the main dish of any party! Visit any one of our locations to order for your next event.